Pregnancy brings both excitement and anxiety. Expectant mothers should be concerned not only with their developing child’s health, but also their own. If you are trying to conceive or think you may be pregnant we ask that you call our office to begin your pregnancy health plan. One of the best things you can do to ensure a safe and healthy pregnancy is to partner with an Obstetrician that you trust. An obstetrician is a licensed physician who specializes in the nine-month journey through pregnancy to delivery. Whether this is your first child or your fifth, each pregnancy is unique for both the mother and the child. Your Ob/Gyn will monitor your health and the health of your baby throughout your pregnancy and will address any issues that might arise, such as a high-risk pregnancy or delivery. Your Ob/Gyn will be able to explain which foods and medications are safe for you and the baby, and will likely recommend or prescribe prenatal vitamins. They can also help manage your weight gain throughout your pregnancy by providing diet and safe exercise recommendations to keep you healthy right up to your delivery date. If you are trying to get pregnant, fertility problems can make this exciting period in your life more challenging. There are many different conditions that contribute to infertility in both women and men. At Peoria Women’s Health we provide infertility treatment by diagnosing the cause, and then planning a treatment course. 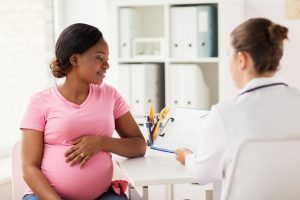 In addition to the one-on-one care and recommended literature that our office will provide you, the following links may give insight into frequently asked questions from moms and moms-to-be.